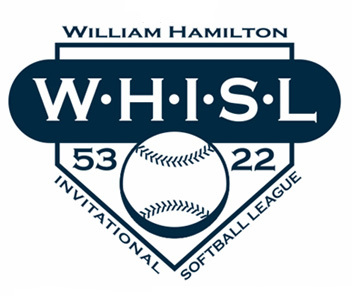 Welcome to the home of the William Hamilton Jr. Invitational Softball League. The inaugural year for the WHISL was 2006. The league was created to bring integrity and fun back to a game that we all love to play. The WHISL is a wooden bat league played on Sunday nights in Northeast Philadelphia. It was named to honor and remember Billy Hamilton, a ball player and great individual who is no longer with us on the field, but always in our hearts and minds. This league was formed by another great player and friend Kenn Kucinski. Both of these great men are looking down over this league to ensure the league continues to be the best league in Philadelphia. The team that is listed as the HOME team during the 5:00PM game each week is responsible to supplying home plate, pitchers rubber and bases for that week's games. Fresh Works @ Full Torch!